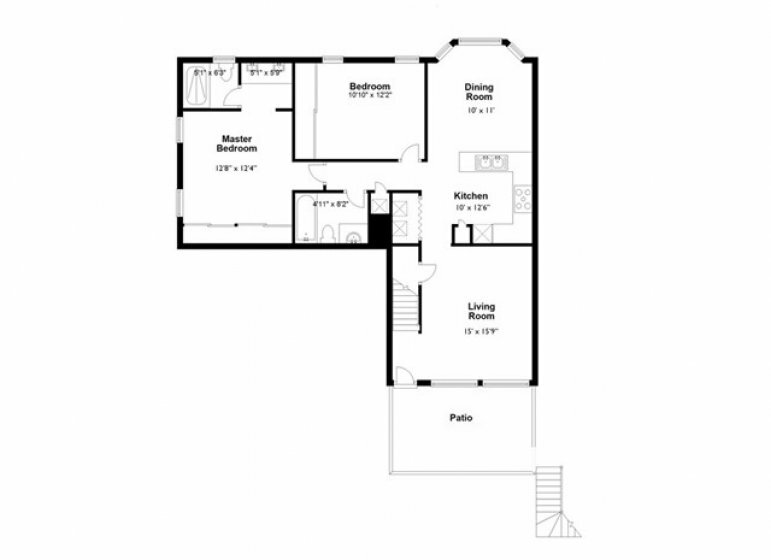 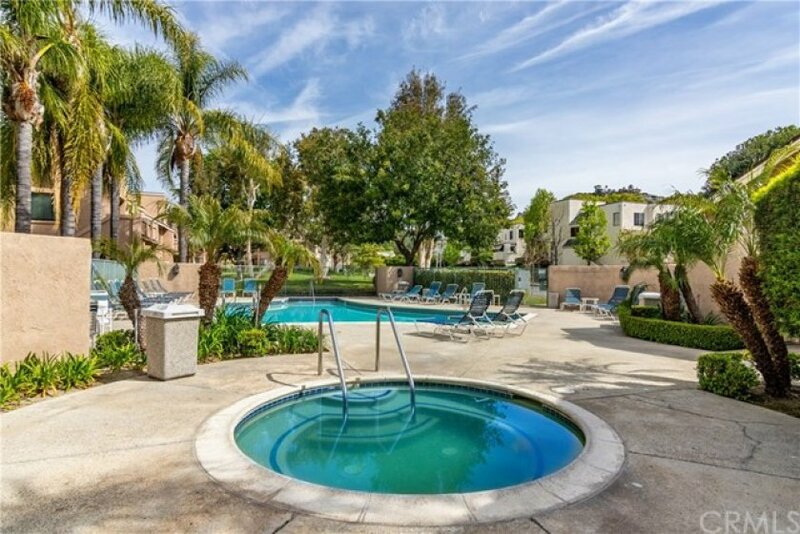 Great end unit, upper level, condo with a great floor plan and room configuration. 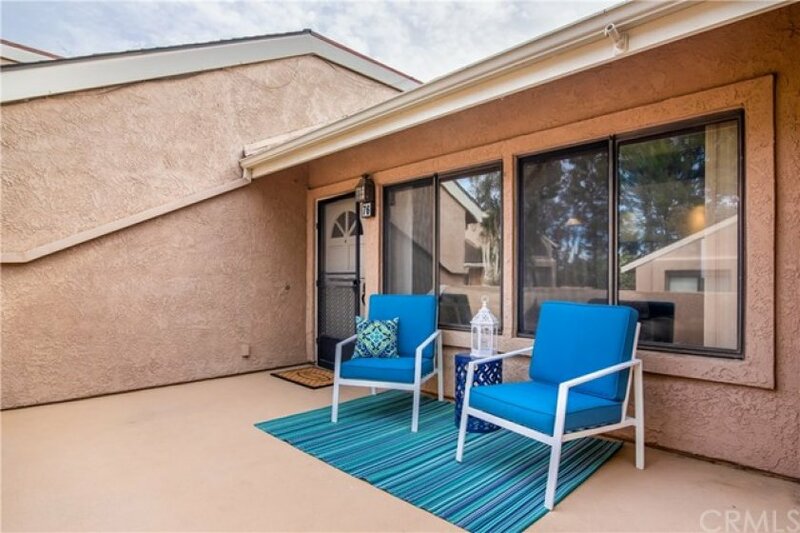 The first thing you notice is the large open-air patio, great for entertaining, dining al fresco, or simply relaxing. 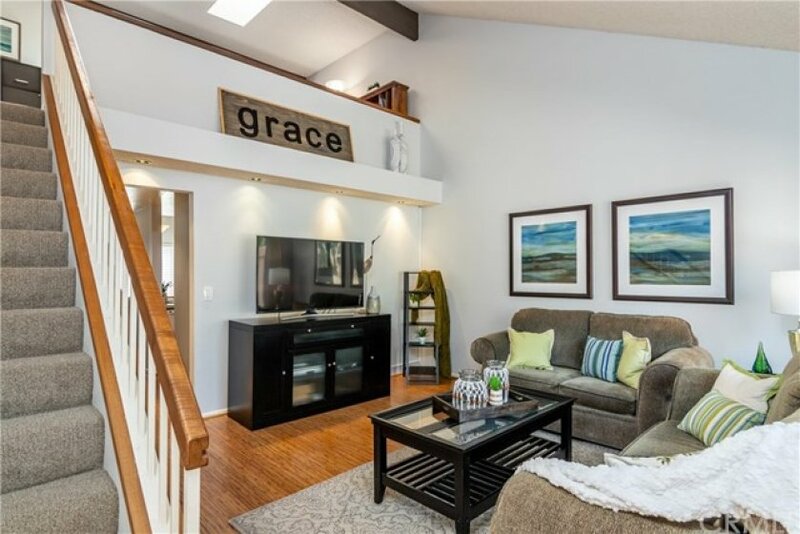 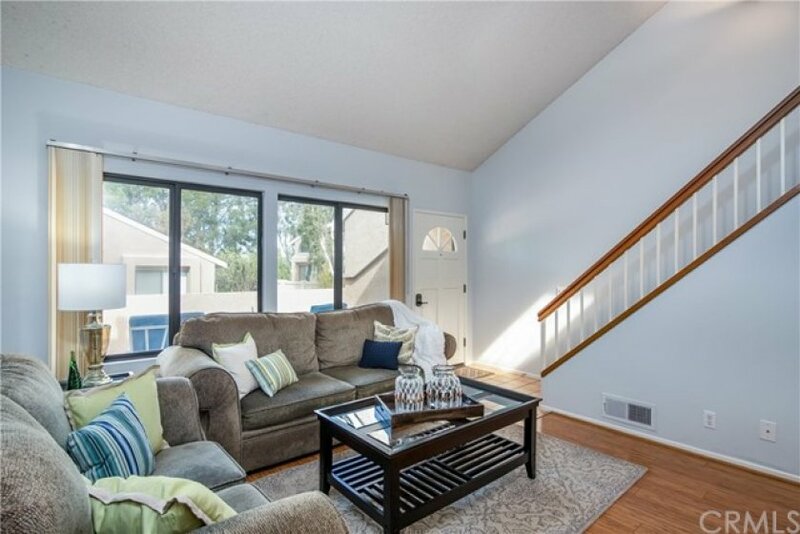 Open the front door and you enter the well-proportioned living room with vaulted ceilings, 2 full sized windows, upgraded flooring and loads of room. 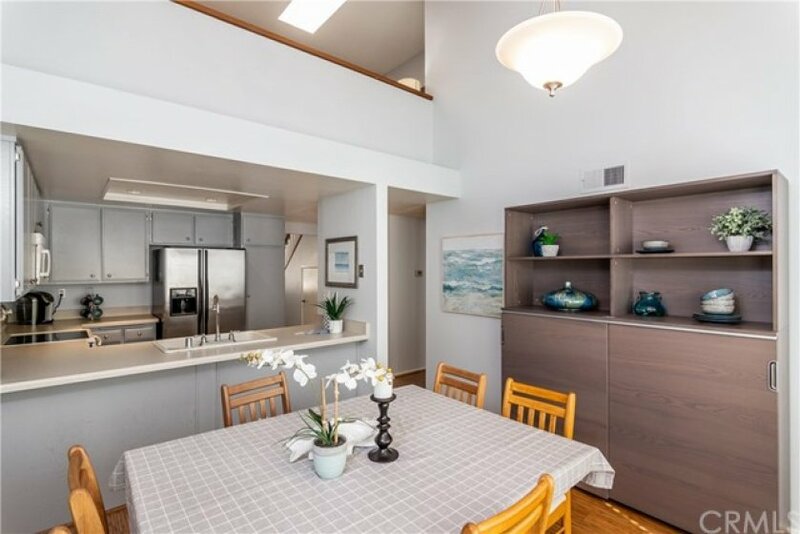 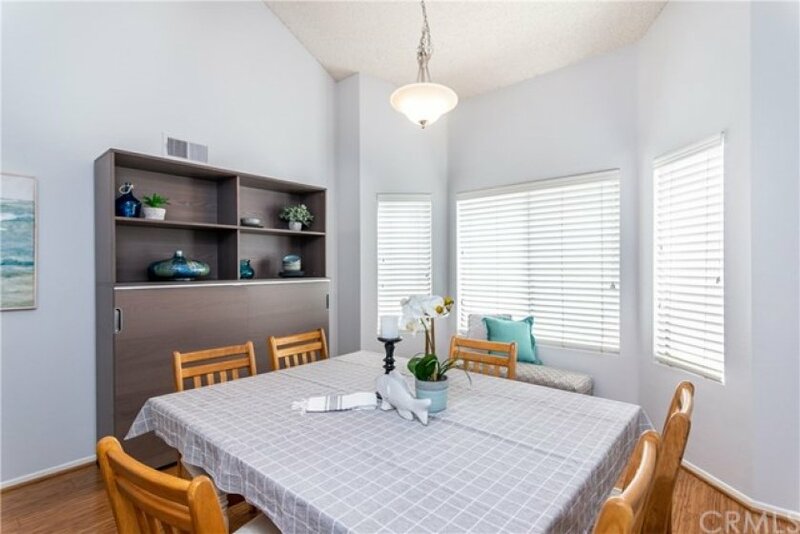 A separate formal dining room off the kitchen boasts loads of natural light and a great central gathering space with additional counter sit up space facing the kitchen. 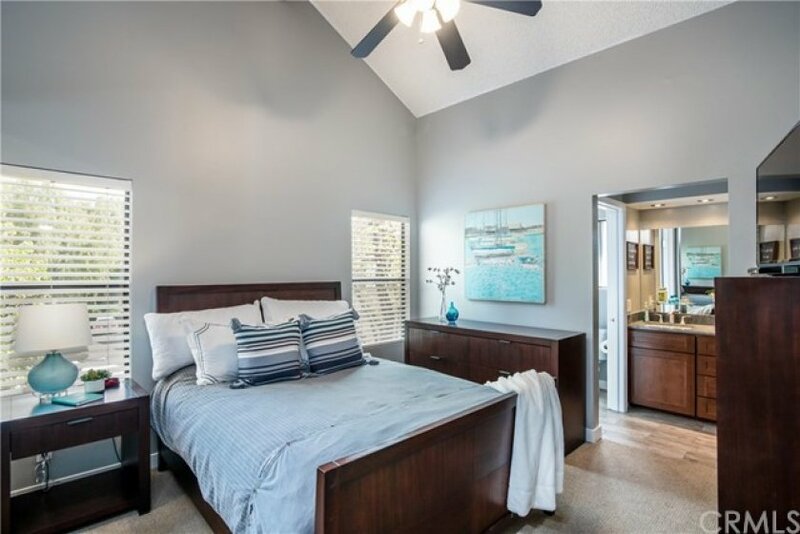 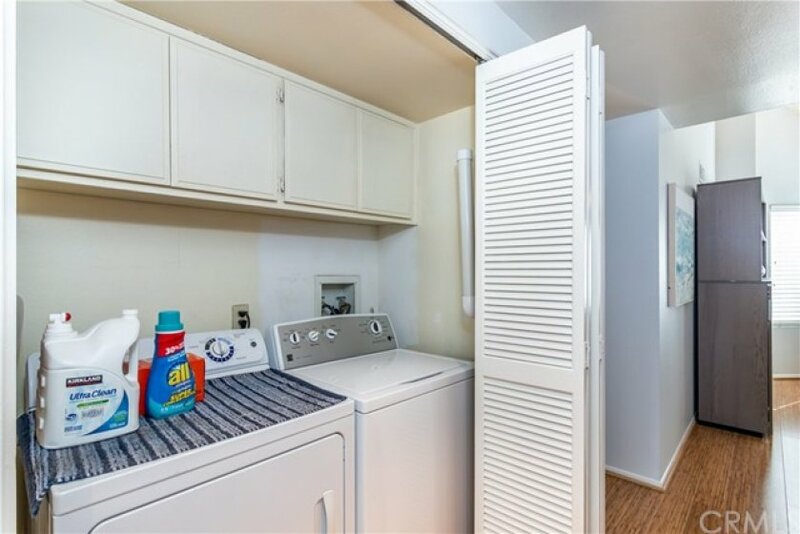 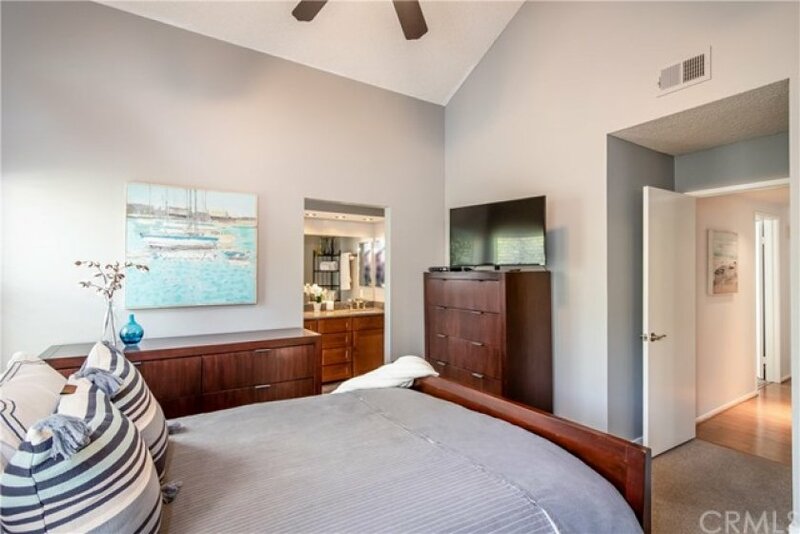 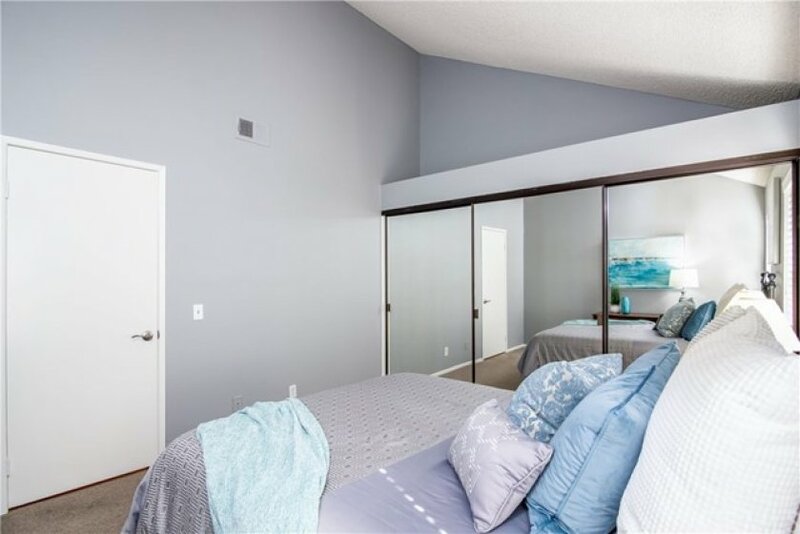 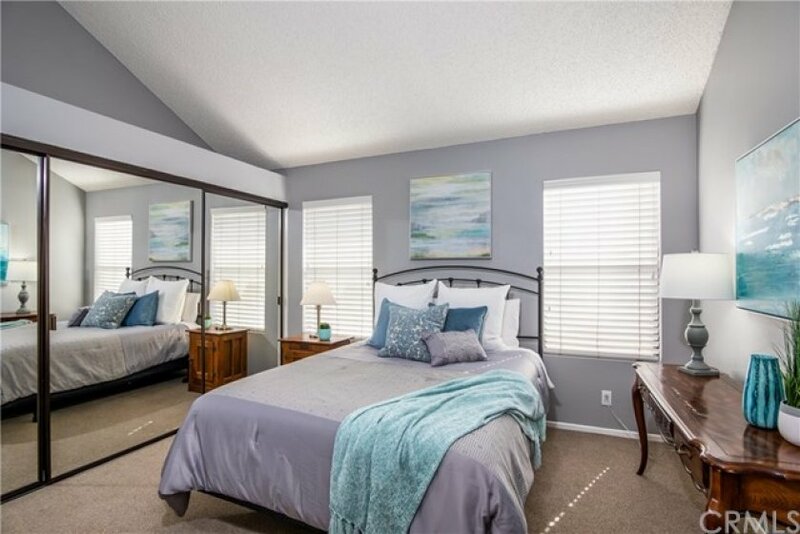 Two full sized bedrooms with vaulted ceilings, each with 3 door full sized closets provides plenty of space for even the most extensive wardrobe selections. 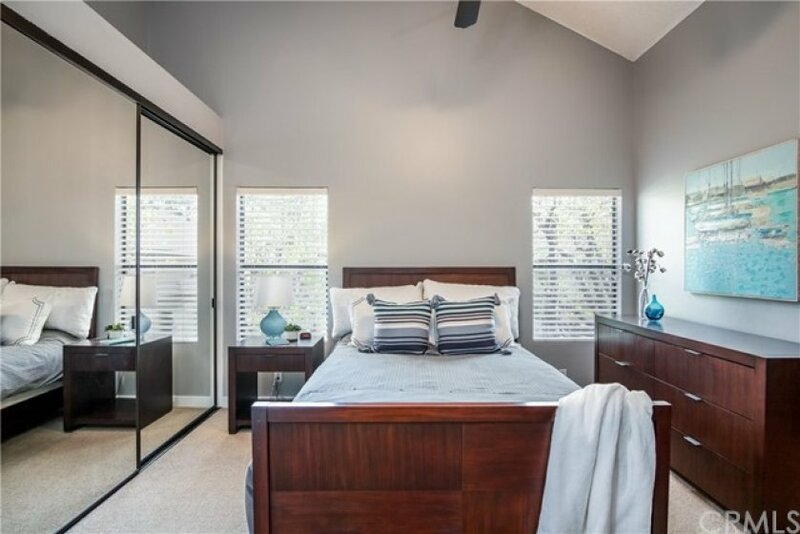 The master bedroom features a fully upgraded ensuite bathroom with dual sink vanity and large glass and tile enclosed shower. 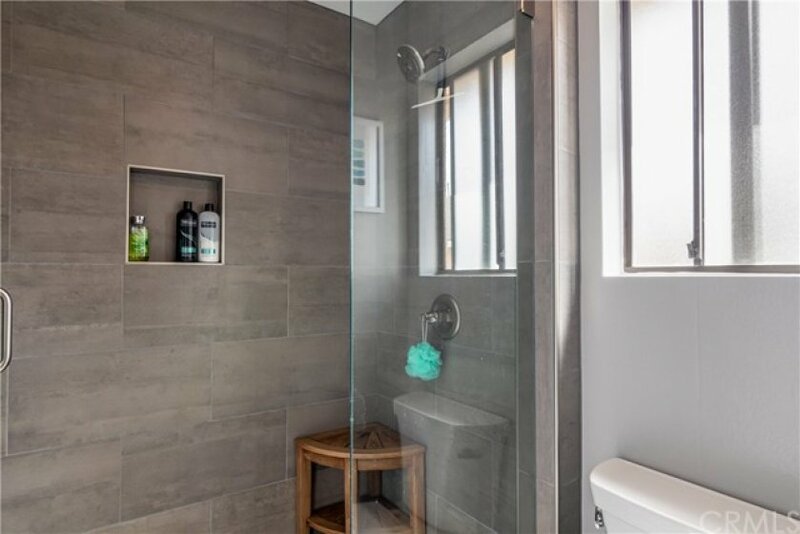 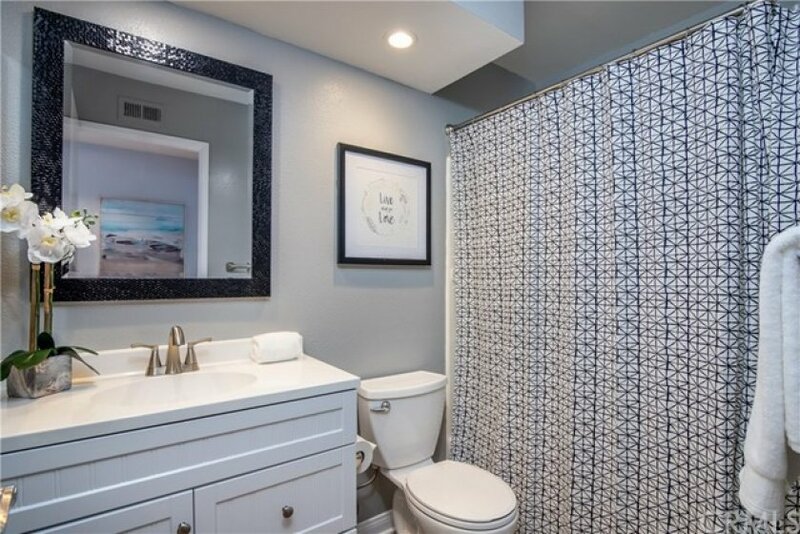 The remodeled second bathroom offers a shower over soaking tub. 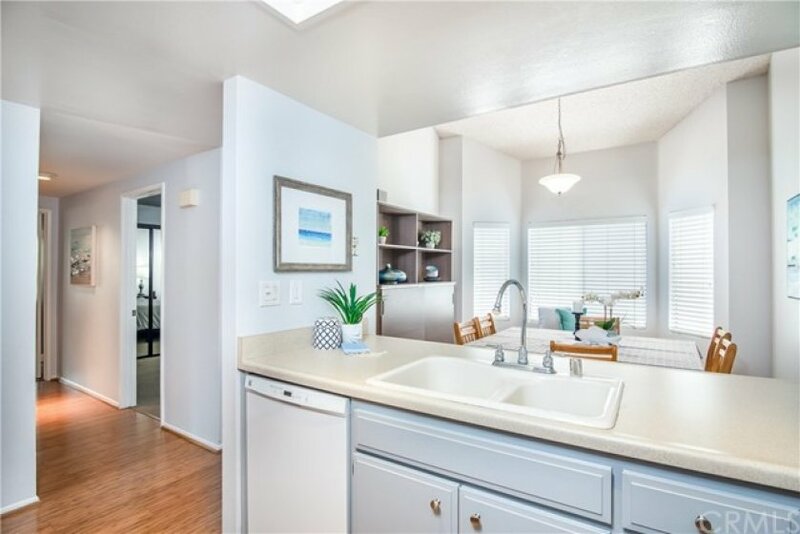 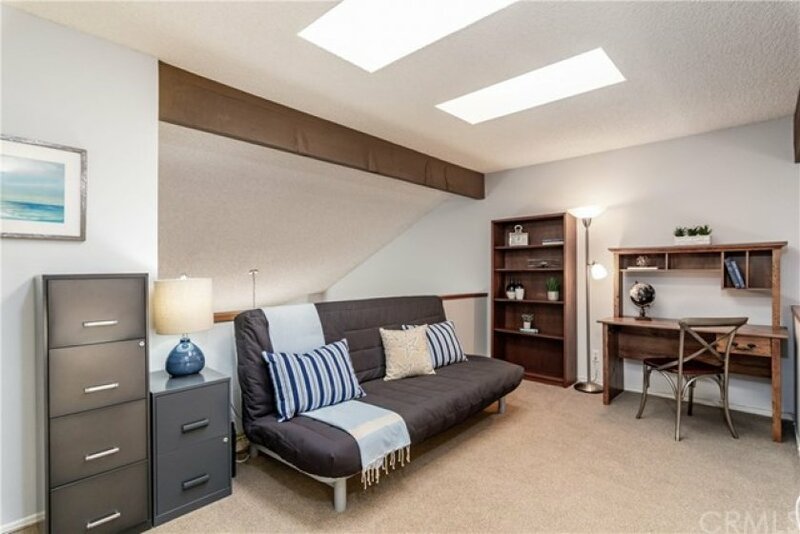 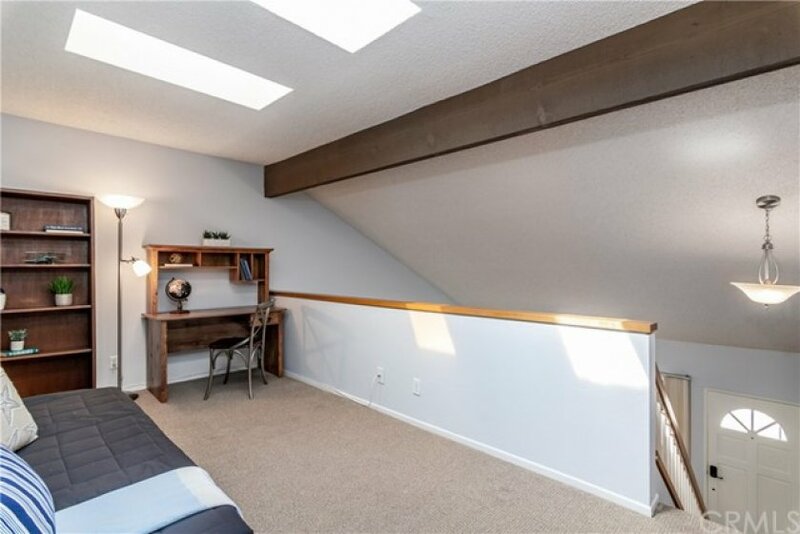 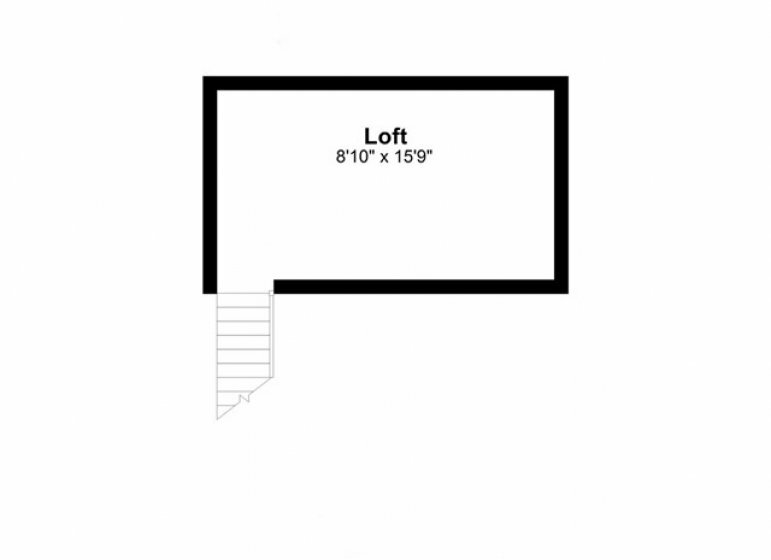 Compose that perfect home office, additional media or welcoming guest room in the upstairs loft which has 2 great skylights and additional storage closet. 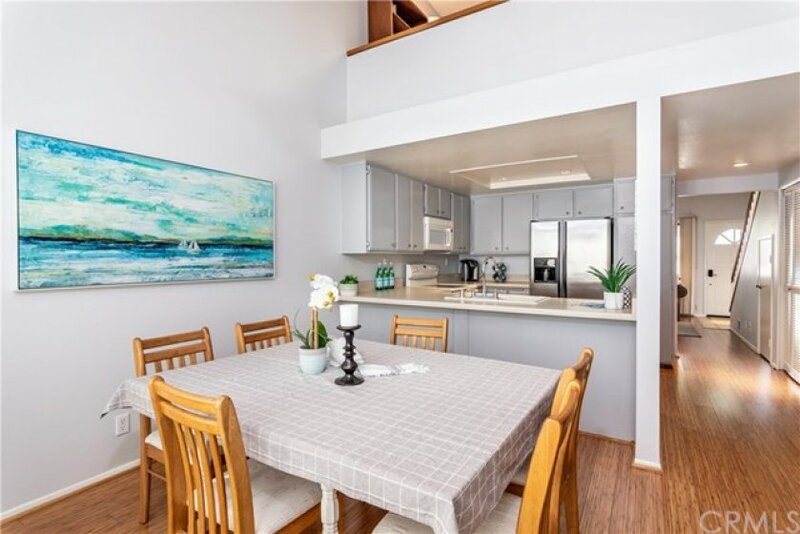 The central location of this home is ideal, making for easy commutes to either the mountains or down to the great SoCal beaches. 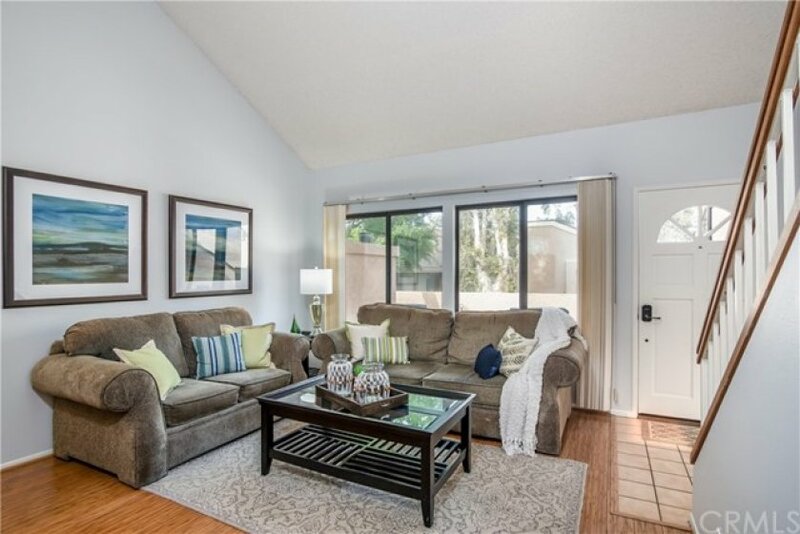 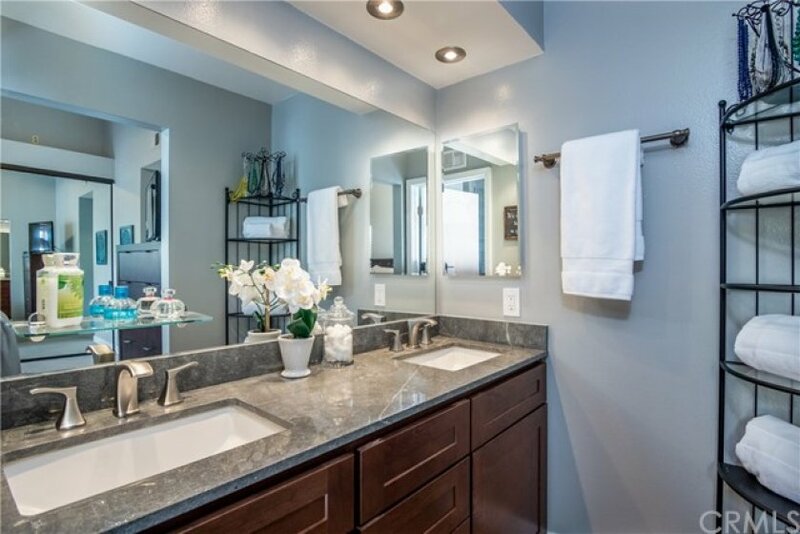 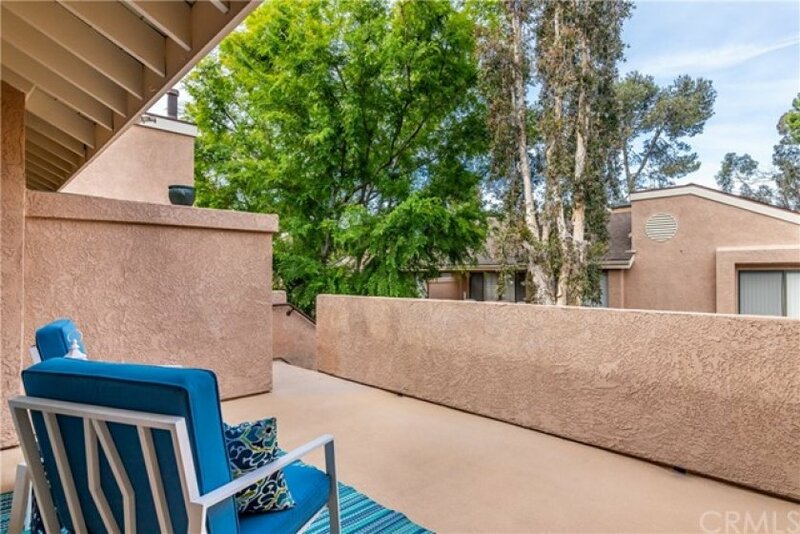 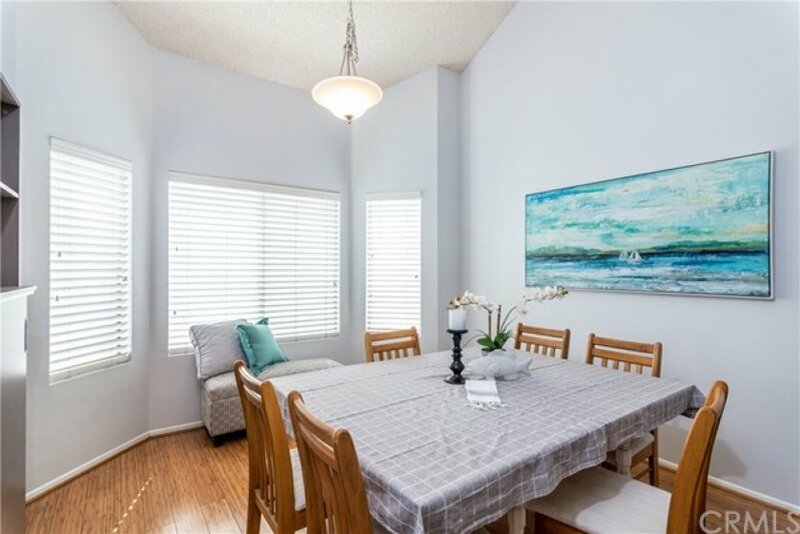 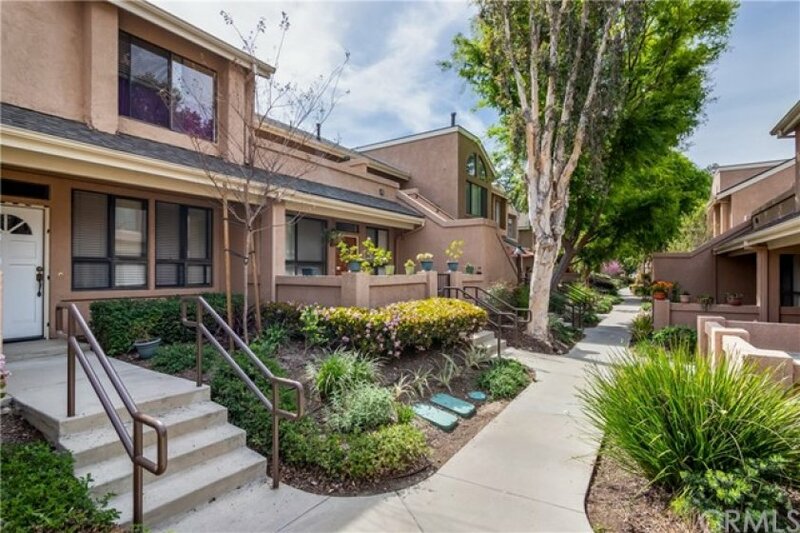 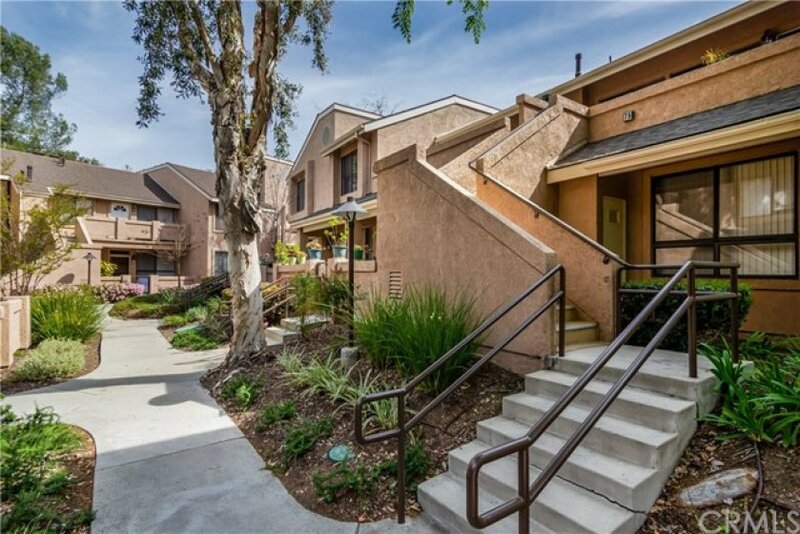 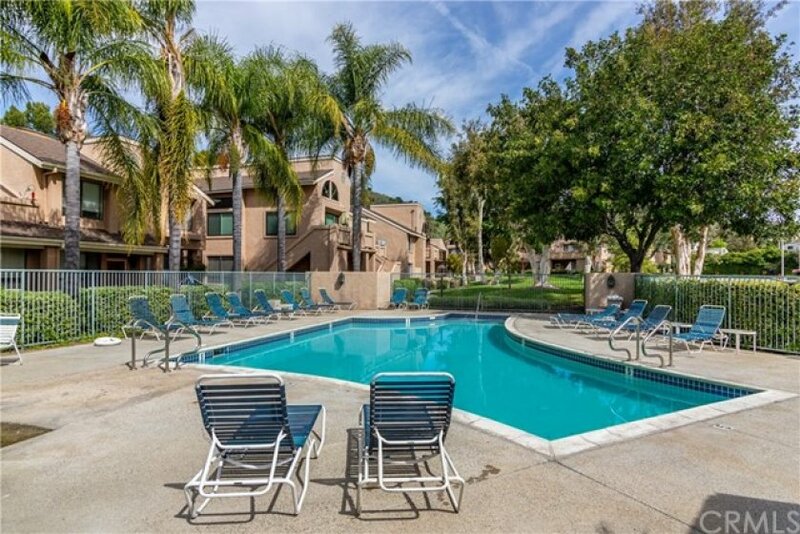 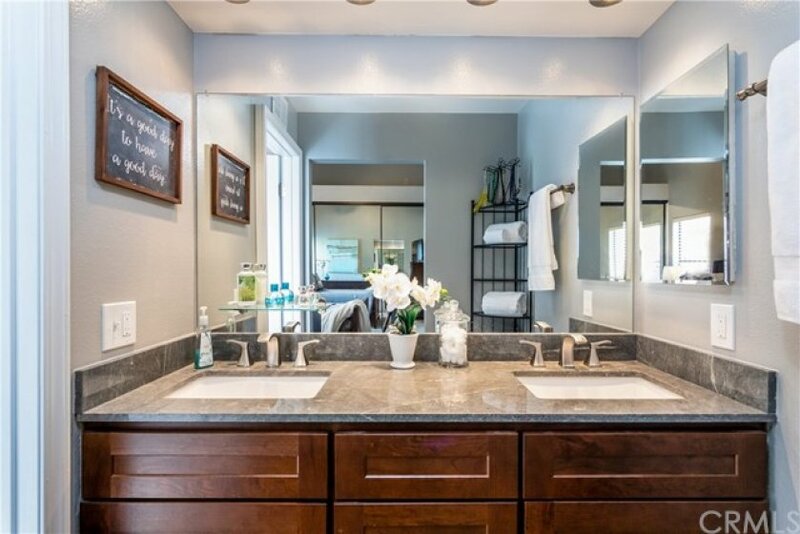 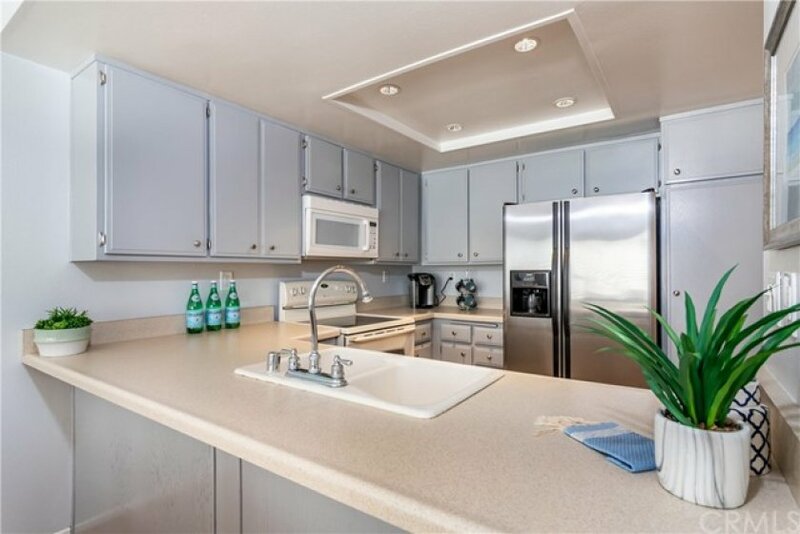 You’ll love the proximity to great local parks, nature walking trails, a quick drive down 55 freeway to John Wayne Airport for your travel needs and great local shopping and dining. 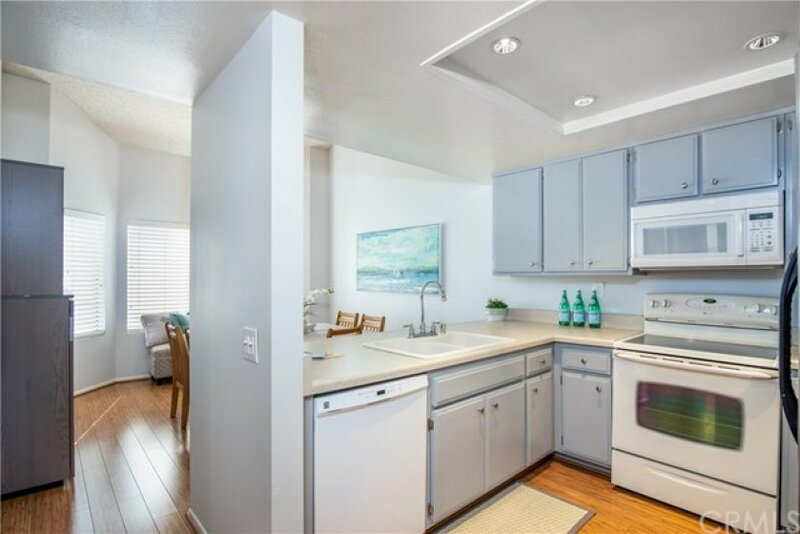 Central air conditioning, freshly painted, interior laundry room, private garage and more.